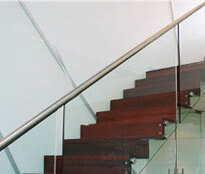 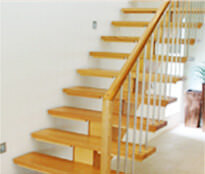 All of our stairs are custom made and we can supply any type of staircase. 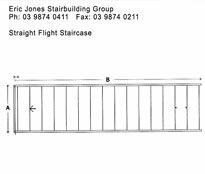 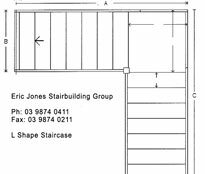 The 3 pictured below provide an example of the most common staircase types, please email us for any other staircase types, or fax plans to Fax: 03 9874 0211. 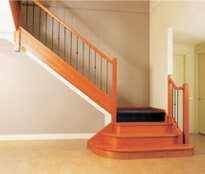 All staircase kits come complete with wedges and glue blocks and we are more than happy to provide installation advice. 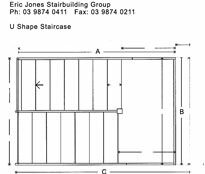 For more information please call the office Ph: (03) 9874 0411. 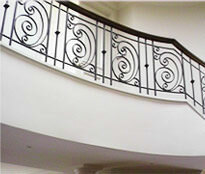 All prices ex-factory (exclude delivery).